Agency11 is a bold, one page, fully responsive theme designed with function and simplicity in mind. Built with HTML5 sections and Bootstrap’s rock solid framework, this theme is easy to customize and looks great on all screen sizes. 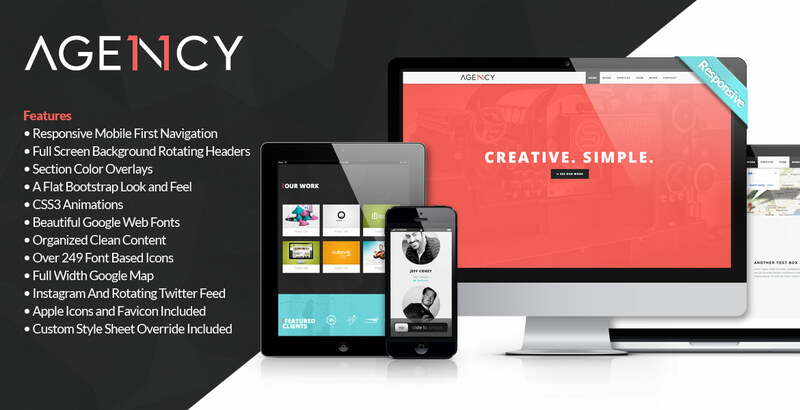 Item Reviewed: Agency11 - Fully Responsive Theme 9 out of 10 based on 10 ratings. 9 user reviews.